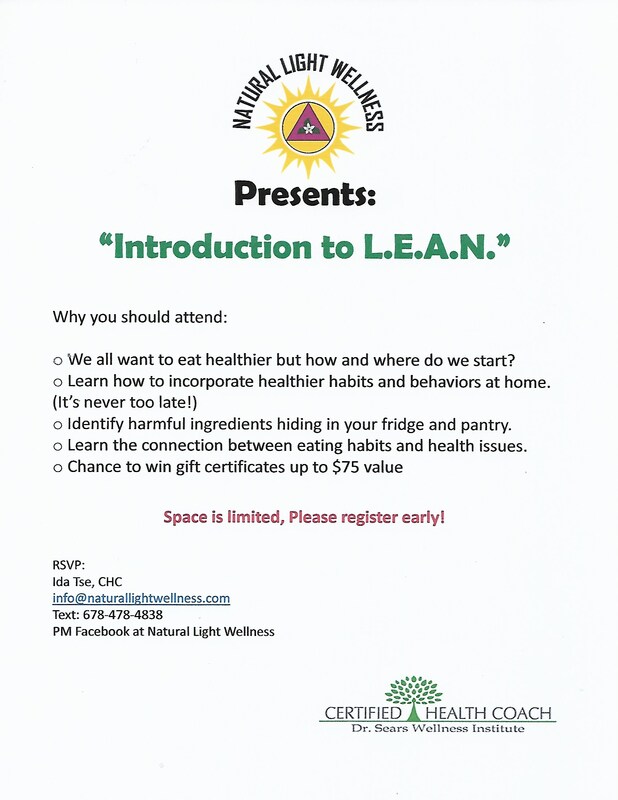 Name: Natural Light Wellness Introduction to L.E.A.N. Starting a healthy lifestyle can be confusing and challenging but it doesn't have to be. Ida Tse, Certified Health Coach will teach you a concept that is easy to understand and follow for all ages.